How do I determine the door backset? 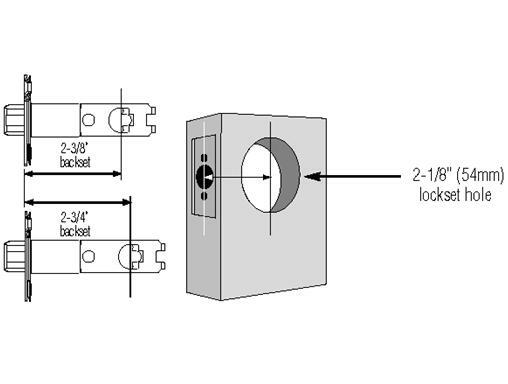 Backset is the distance from the edge of the door to center of the 2 1/8” (54mm) diameter hole. In most cases the backset will be 2 3/8” or 2 ¾”.